Those of us who live in small city apartments and condos should take note. 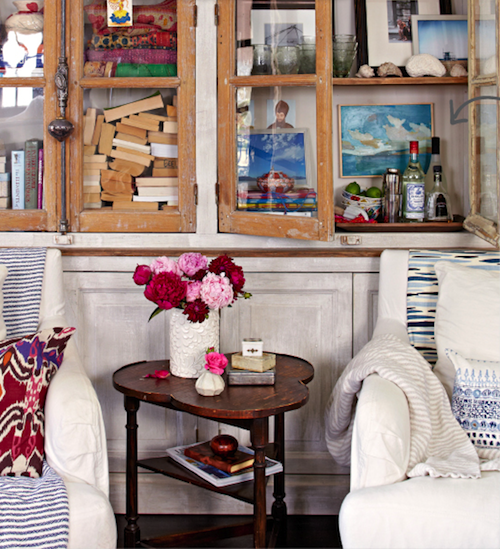 This charmingly eclectic southern bungalow is only 700 square feet! 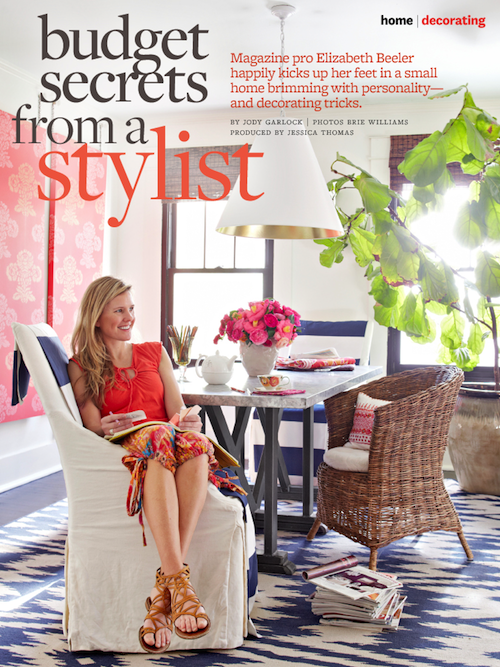 There's a reason this homeowner is a professional stylist, her own home is a masterful mix of colorful patterns, textures and artwork. There's one of those amazing fiddle leaf fig trees! Much to my despair my home doesn't get enough sunlight to keep one of these beauties alive. Anyone have any sources for a high quality silk tree? 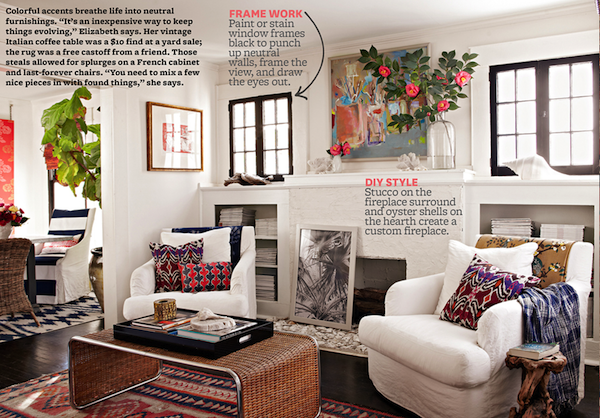 Love how she uses throws and textiles to easily change up the color accents on neutral slipcovered upholstery. And then theirs the front porch, the architectural feature that makes bungalows so appealing! 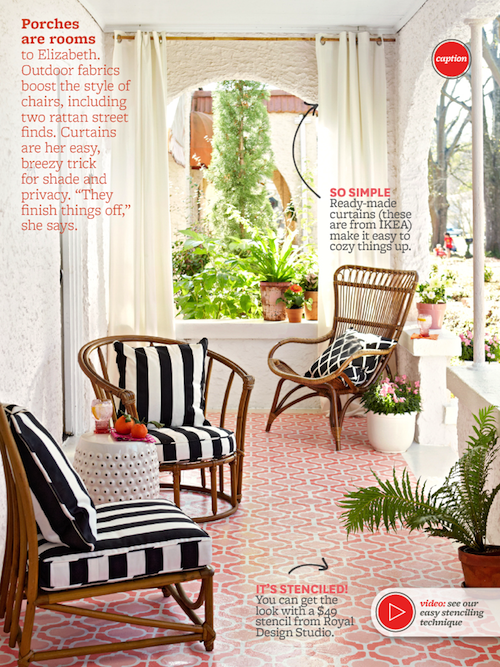 I'm in love with the black and white strip on the rattan chairs and the crazy amazing stenciled floor! Get the look of expensive encaustic tiles with just a little elbow grease.